Welcome Home! Beautiful traditional ranch home with 4 bedrooms and 2 bathrooms in the very desirable neighborhood of Mission Viejo. 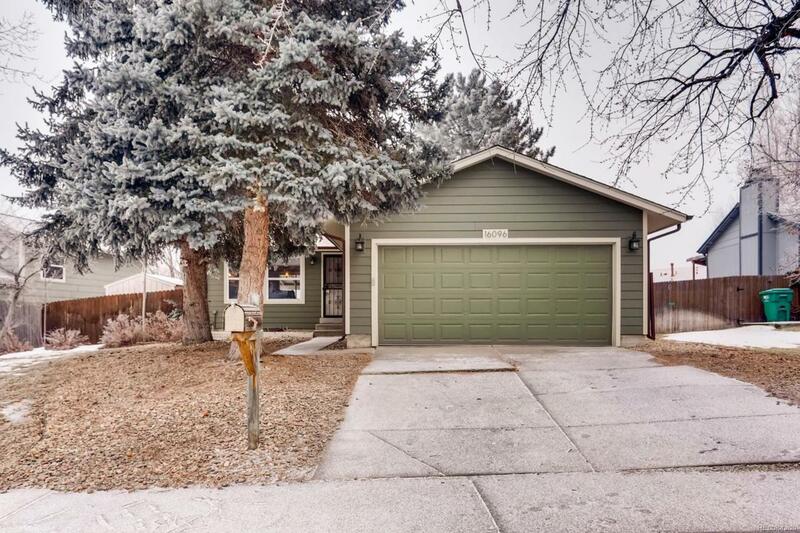 The home is located in the Cherry Creek School district, close to shopping and light rail. Relax and grill under the covered patio while enjoying the tranquil backyard with a custom deck and a flagstone patio. You will find countless remodeled features throughout the home: Remodeled Kitchen with all Stainless Steel appliances, updated cabinets and corian countertops. Hardwood floors on the main level, newer carpet in the bedrooms and basement. Both bathrooms are also remodeled. The fully finished basement includes a family room, bar area , 2 bedrooms and a bathroom. The roof is approximately 4 years old, 2 1/2 year old Hardie Board Cement siding, new gutters and soffits as well! This house is move in ready!